do you know the problem? During a discussion with colleagues, a technical term, the name of a structure or a person arises and you are quite sure: you once read a technical article about it! But perhaps you cannot remember the name of the journal and very seldom the precise issue. We have the same problem, so we make use of the Article database in our daily work. This searches in seconds our entire digital archive, currently more than 31,000 technical articles from all our journals going back to 1967. If you now want to save leafing through your personal journal archive, the article is also available as PDF. Let us help to make your working day somewhat easier and try out our digital archive. 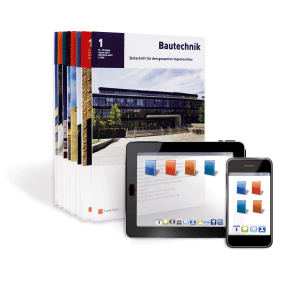 Good to known: Our Special Issues in english, such as for example Robustness and Safety of Concrete Structures or english Articles from our Journals such as Bauphysik or geotechnik can also be found in this database and can be purchased as PDF. We wish you much pleasure with your researches. 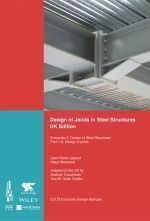 This volume elucidates the design rules for connections in steel and composite structures which are set out in Eurocode 3 and 4 and the UK National Annexes. Numerous examples illustrate the application of the respective design rule. 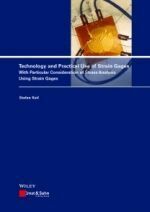 This work is an indispensable reference work for academia and research, and a detailed instruction guide for measurement installation and implementation of strain gages as well as for interpretation of the results and stress analysis. With examples from all engineering areas. Kienlesberg Bridge is the new link for trams, pedestrians and cyclists between the inner city and the science centre in the north-west of Ulm. The bridge crosses a railway junction near the main station and a new high-speed rail link. The geometric boundary conditions lead to unequal spans and complex alignments. Therefore, the scheme that won the design competition, which is now under construction, proposed a bridge made of steel. Special calculations and details were necessary for dynamic and noise control reasons. The bridge is being built using incremental launching. Roads in the municipal Berchtesgaden are among the traffic infrastructure in Germany most highly endangered by natural hazards. Landslide, avalanche, rockfall and debris flow events led to repeated accidents and road closures. In order to improve the safety of main roads, a three-stage approach has been introduced by the responsible road authority, especially in the light of finding the most suitable and sustainable solutions quickly. 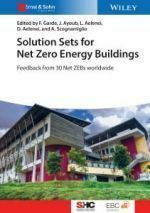 The main criteria for the entire design phase of any measure have always been the necessary level of protection, reasonable costs and environmental compatibility. Matching all these requirements is critical for rapid construction and therefore a reasonable use of resources. 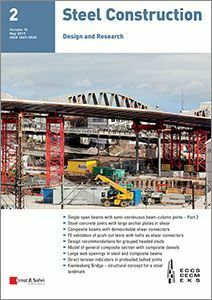 worldsteel Association organises 29 May – 1 June in Düsseldorf/Germany the worldsteel construction conference as a European networking event bringing together the key persons of the steel construction value chain. The Swiss Tunnel Congress at the KKL Lucerne is annually organised by the STS. 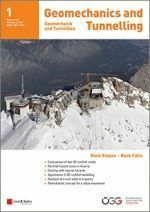 Over the past couple of years, this event has developed into the main congress for tunnelling experts in Switzerland, originally evolved from the AlpTransit congresses. Around 800 experts from 15 nations attending the high quality presentations. Additionally, there are excursions to large construction sites within Switzerland and the surrounding area offered. WTC 2017 in Bergen is the must-attend conference of the year. Featuring a wide variety of technical sessions and speakers combined with our expansive exhibit hall, WTC 2017 will be a professional event you will truly enjoy and remember. The Concrete Association (Betonvereniging) and the Belgian Concrete Group (Belgische Betongroepering) will be jointly organising the annual fib symposium in 2017. The event will be held between 12 – 14 June at the MECC in Maastricht. Besides the Concrete Association and the Concrete Group, Germany will also be represented via Aachen University (professor Joseph Hegger). The theme of the fibsymposium2017: High tech concrete: Where technology and engineering meet! Click here to cancel the newsletter or to change your profile.